Thread by @SarahTaber_bww: "Slaveholders' letters say the darndest things. Here's one Leonidas W. Spratt complaining to a friend in 1861 about how "poor white people vo […]"
Slaveholders' letters say the darndest things. 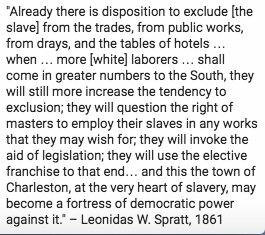 Here's one Leonidas W. Spratt complaining to a friend in 1861 about how "poor white people voting" was an existential threat to slavery. • had to be socially engineered into existence. Poor whites hated slaveowners, & slavers were terrified of poor whites having real power. Slavers waged decades of propaganda + terror campaigns to push poor whites into accepting their rule. Segregation? That was ex-slaveowners' idea. Didn't really exist before the Civil War. After it, former slavers scrambled to stay on top of their power by keeping poor whites & newly freed blacks from building social, religious, or business ties. I ask that you don't blindly believe _anything_ that I share in this thread. Verify through primary sources. As in, if say that "Person X believes Y," verify for yourself that person X believes Y. All of the verifications are easy. 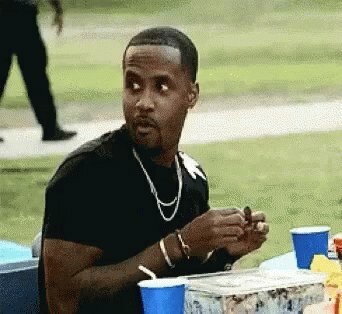 Most black folks in this country knew who Spencer was before 2016. While “Pursuit of Happiness” is a seductive phrase, it is also very problematic. Being someone rooted in Indian thought, I have always found this idea a tad troubling, notwithstanding its charm and specious appeal. Have you ever wondered why so many poor white southerners endear themselves to wealthy whites under a perceived shared pride of race? 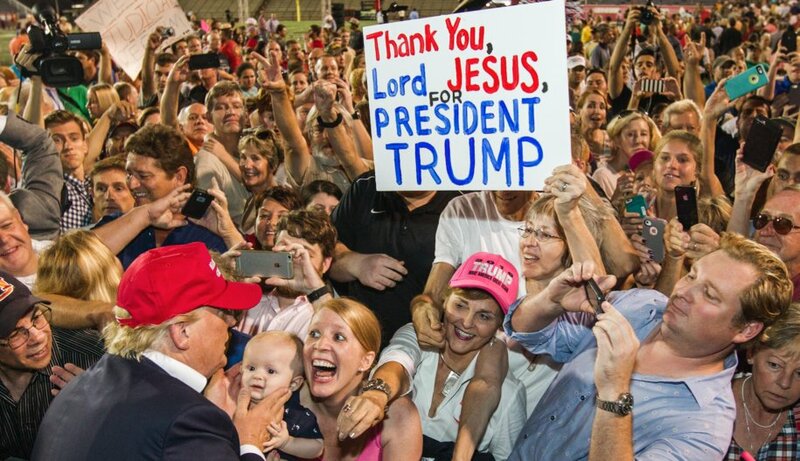 Even when many wealthy whites see them as poor white trash, or just pawns to a political victory? The ‘poor white trash’ moniker has been around since at least 1821, an evolution of the 17th-century “wastepeople” (europe), 18th-century labels “squatter” (North) & “cracker” (South), or landless, migrant, poor, and lawless white folks. Remember, land ownership meant everything!